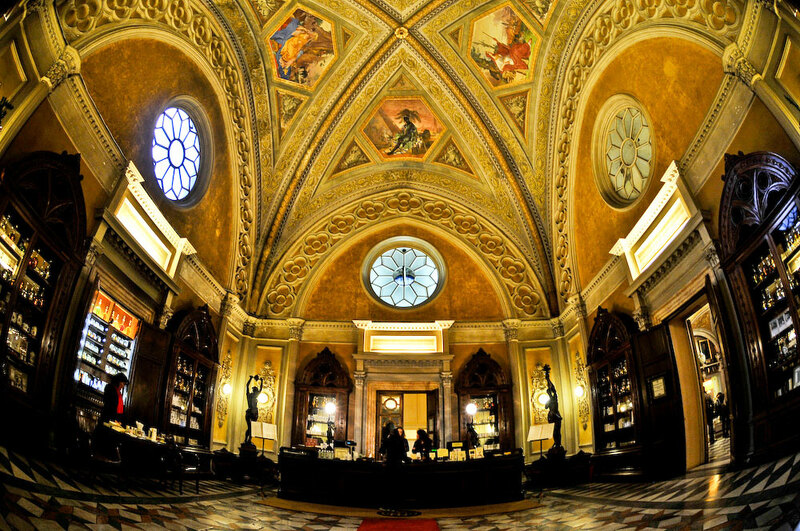 One of the world’s oldest, working pharmacies lies just off the bustling streets of Santa Maria Novella plaza in Florence and the quieter Santa Maria Novella church square. 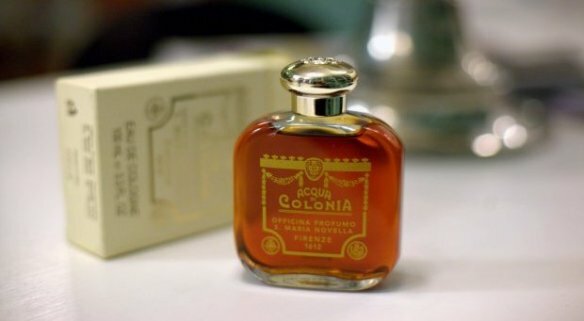 It is one of the world’s oldest perfume brands, and arguably the real creator of what we know today as a “cologne.” It’s called Officina Profumo-Farmaceutica di Santa Maria Novella (“Santa Maria Novella” or “SMN” for short), and it was at the top of my list of places to visit on my recent trip to Florence. Happy Independence Day to all my American readers. Regardless of your location, though, I hope you’re all having a lovely weekend and that those of you in Europe are finally getting some relief from the heat wave. I’m sorry I haven’t posted any perfume reviews lately, but I’ve been overwhelmed by all that I have to do for my upcoming trip. It’s finally set and everything worked out, much to my disbelief because I really hadn’t been sure I would manage to get away. I’ll be in Italy for a little under 3 weeks, departing on July 20th and returning in early August after visiting Florence, Rome, and a seaside resort town. Simply finalising my locations took a lot of time because, at one point, the goal had been 10 days on Croatia’s stunning Dalmatian coast. What beauty… truly stunning. (You should see some of the YouTube videos of their amazing islands and national parks!) Unfortunately, Croatia doesn’t have the easy train connectivity of other European countries, so one can’t simply hop on a train to go from one place to the next. 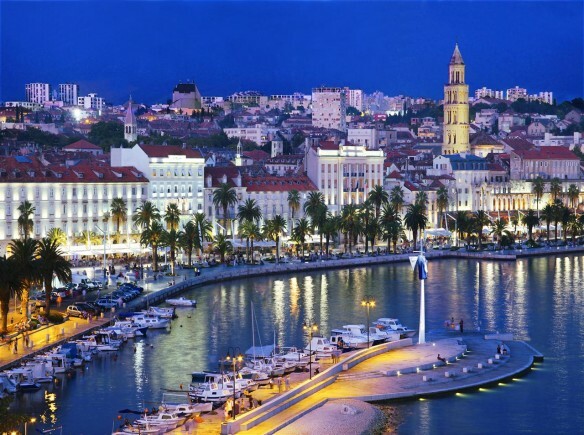 Plus, Croatia seems to be a place best suited to someone outdoorsy, beachy, and/or seriously sportive (the last of which is not me) who is happy to stay in one or two seaside towns/islands, or who can rent a car to go around in-land. That’s not me either. I’m not going through the hassle of getting an International Driver’s License. (Plus, with my luck and terrible sense of direction, I’d end up driving myself off a cliff somewhere in Albania.) So, Croatia will have to wait for another time. Santa Maria Novella Patchouli: Holy Grail? One of the best patchouli fragrances I’ve ever tried comes from Santa Maria Novella, an old Italian company with an 800-year history. They make simple, unpretentious, refined colognes that often highlight one key ingredient. In the case of Patchouli, the result is a rich, beautifully elegant fragrance that every die-hard patch head should try. As one commentator admiringly stated, “SMN weren’t f*$%ing around when they made this one.” No, they most certainly weren’t. This perfume met a great success in the late 1800s and early 1900s and has now become a classic. 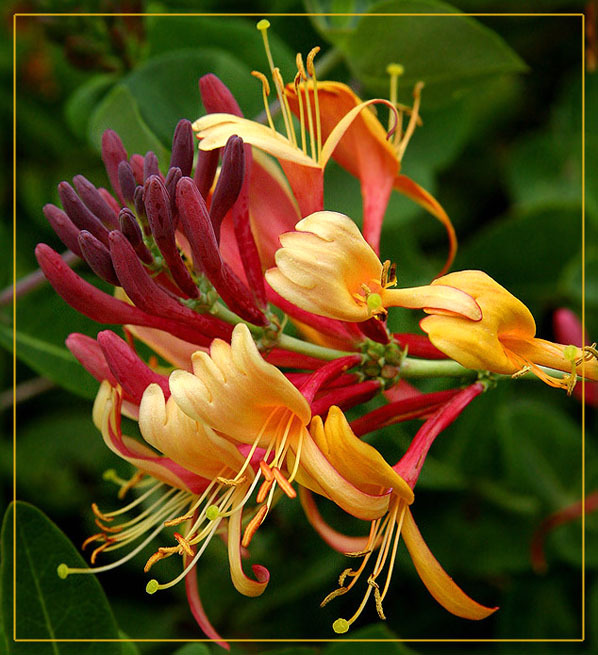 The plant from which the fragrance is made grows in India and Malaysia and creates a warm exotic, oriental and musky scent. Perfect for men and women. Honeyed nectar curls like a ribbon around green neroli, sweet orange blossom, and lush jasmine in a fresh, airy cologne. That is one aspect of Caprifoglio, a scent from Santa Maria Novella whose name means honeysuckle. Truth be told, I don’t think the name really fits the scent which, on my skin and that of a number of other people, isn’t really about the namesake flower. The mix of fresh, green neroli, sweet orange blossom, and lush jasmine is pretty, but I’m a little disappointed. Santa Maria Novella (hereinafter sometimes referred to as “SMN“) is an Italian niche house based in Florence and one of the oldest actual pharmacies in the world. By many accounts, Santa Maria Novella is also the real, true source for the birth of cologne as a type of fragrance. You can read the full details of their fascinating, storied history going back to the 1200s and to Dominican friars in Florence in my earlier piece on the Farmacia (and its Ambra cologne). The house has been connected to everything from Catherine de Medici on her wedding day, to a marchioness burnt at the stake as the last “witch” in France, and marauding thieves who fought off the Black Plague. It’s really fascinating stuff, if you are a history junkie as I am.